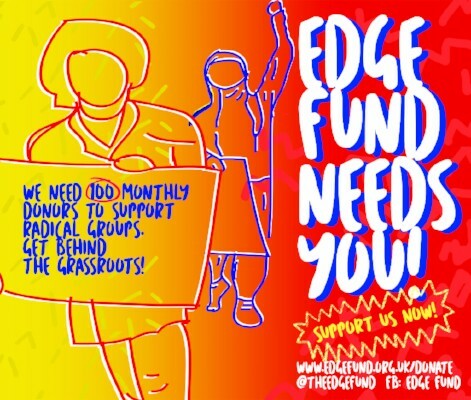 Edge Fund have sent out the appeal below. We facilitated their meetings when they were setting up, and have kept up with the valuable work they have funded ever since, so please take a look and consider if you can help. We need to ask for your help! Our annual income has fallen from over £220,000 in our first year to less than £50,000 in our last financial year. At the moment we only have enough money to last for around another year. We know there is a huge demand for our funding, because we receive hundreds of applications every funding round and we want to continue for as long as we are needed. You can find out more about what our funding has helped grassroots activists to achieve by having a look at our previously funded groups. < Taking decisions – misunderstandings about voting	> Taking decisions – is voting a hallucination of democracy?